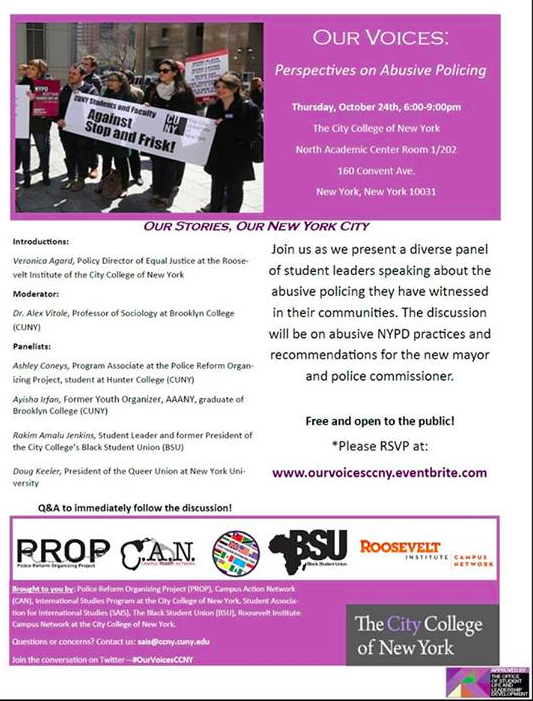 This event with feature a panel of students from diverse backgrounds speaking on how abusive policing has affected their communities. They will also give their recommendations for the new Mayor and Police Commissioner. The conversation will touch on topics such as stop and frisk, surveillance of Muslim communities, and the harassment of LGBTQ community. 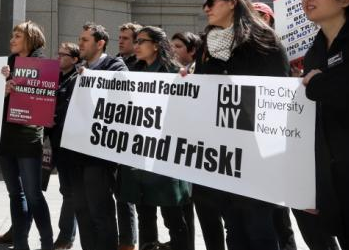 The event is organized by The Police Reform Organizing Project (PROP), The Campus Action Network (CAN), International Studies Program at City College of New York, the Student Association for International Studies (SAIS), the Black Student Union (BSU), and the Roosevelt Institute at the City College of New York.